Taking care of your skin with Murad is as easy as 1, 2,3. Following on from our previous blog post all about the importance of cleansing, it’s now time to move on to Step two: Treating your skin. Once skin is thoroughly cleansed and all the debris from the day or night removed, your skin is now prepared for treatment. The treatment step of your skincare regime provides targeted care to treat your most pressing skin concerns. It is the is phase of your skin care regime where you can create the most impact and get the results that will transform your skin. For this phase of your regime you may want to target wrinkles, crow’s feet, sagging skin, severe acne, an oily t-zone or sensitivity to name but a few. 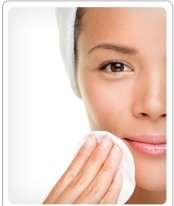 A skin concern is anything that detracts from a youthful, flawless complexion. You may want to use a different treatment step in the day than you use at night. This is because at night, products have a chance to penetrate more deeply and you can take advantage of your body’s natural restorative cycle by using much more intense treatments. During the day, you may want to use something a bit lighter which won’t feel heavy on your skin and you can wear under makeup. Picking the correct treatment for you might seem daunting at first but with the help of Murad’s Personalised Skincare Evaluation, you can quickly discover the correct products for your skin type and your main skin concerns. Once you have allowed your treatment step to sink in, it’s time to Hydrate! 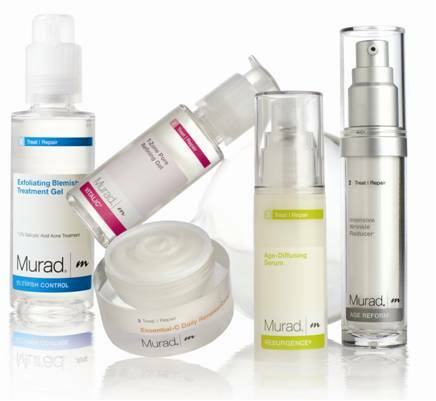 This entry was posted in Topical and tagged Cosmeceutical, dr murad, Murad, Results, Skincare, Treatment by muraduk. Bookmark the permalink.